PhotoEventPlus takes great pride in delivering the best support possible to our clients. Our service is unparalleled in the market today because of the careful attention we devote to our clients needs. Our pro services department is highly responsive to email at all hours of the day. 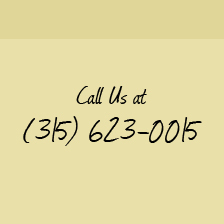 We are readily available by phone between 9am and 5pm eastern time, Monday through Friday.Please feel free to contact our pro services department by e-mail at any time using the email Contact Form. You may also have a look at our online tutorial for instant answers to questions you may have about the site. Check our Tutorial Here.